In the 14th century, it was common for Christian European royalty to arrange marriages with other ruling Christian families. But in 1325, Wladyslaw I of Poland wanted to ally with Lithuania, still a pagan country. He decided to marry his son and heir, Casimir, to a daughter of Lithuania’s pagan Grand Duke, Gediminas. In the 1320’s Poland and Lithuania shared a common enemy: the Teutonic Knights. The order was threatening both countries. At the time, Lithuania was a much bigger country than it is today. Besides today’s Lithuania, it also occupied two-thirds of present-day Belarus. The Teutonic order bordered Poland and Lithuania, stretching along the Baltic coast. In 1325, Wladyslaw I, King of Poland, decided to ally with his pagan neighbours against the Teutonic order, sealed by the marriage of his son and heir to a daughter of Lithuania’s ruler. This was a risky move. Although he got approval from the Pope, others were not pleased by his decision to ally with the pagans. This marriage did have some benefits, such as bringing fresh blood to the Polish royal family. At this time, most European monarchs shared traceable ancestors, but the Lithuanians were unrelated. The chosen bride was a daughter of Gediminas, Grand Duke of Lithuania. According to later sources, her birth name was Aldona. She was probably born between 1309 and 1313. The identity of her mother is uncertain. It is possible that Aldona expected to marry a Christian prince; before 1325, one sister married a Russian Orthodox prince, and another married a Catholic prince of the Piast Dynasty, the same dynasty Aldona’s future husband belonged to. Eventually, all five of Gediminas’s recorded daughters married Christian princes and converted to Christianity. Lithuania and its rulers, however, would remain pagans until more than sixty years later. Aldona came to the Polish court in the spring of 1325. On 30 April 1325, she was baptised into the Catholic church and received the Christian name, Anna. The marriage did not take place right away. For the next six months, Aldona-Anna went through a catechesis to remove all of her pagan traces and make her a good Catholic. At this time it was usual for princesses to move to new countries for their marriages, and have to get adjusted to new languages and customs. For Aldona-Anna, settling into her new country was probably more difficult than usual, she also had to adjust to a new religion and a new name. Aldona-Anna married Casimir of Poland on 16 October 1325 in Wawel Cathedral. Casimir was fifteen, Aldona-Anna was about the same age or a little younger. Her dowry was the release of thousands of Polish prisoners previously taken captive by her father. It has been reported that the number of prisoners released was 24,000, but it seems like an exaggeration. It has been said that Casimir did not want to marry Aldona-Anna, and his father had to take him to the altar by force. This too seems like an exaggeration. Aldona-Anna’s opinions on the matter are unknown. Despite this, it seems like the early years of the marriage were harmonious. Aldona-Anna was said to have a cheerful disposition and lived in harmony with Casimir. They had two daughters who seem to have been born in the early years of their marriage, named Elizabeth and Kunigunde. Casimir, however, was not a faithful husband. We do not know how Aldona-Anna felt about this, but she seemed to have accepted that it would happen. It was quite common for kings and princes to take mistresses. Overall, it seems that the young couple got along, but may not have been in love with each other. Life for Aldona-Anna at the Polish court was probably not easy. Besides having to adjust to a new culture and religion, it seems like many people in Poland disproved of her lifestyle. She was known to have kept practising some of her Lithuanian ways. 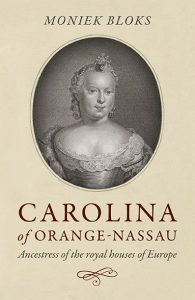 Her mother-in-law, Hedwig of Kalisz, was her most prominent opponent. Hedwig seems to have not been pleased about her son marrying a girl that was raised a pagan. She seems to have been unhappy that Aldona-Anna devoted more time to pleasure than prayer. Casimir’s father died on 2 March 1333. Preparations for the coronation of Casimir quickly began. As was custom, Aldona-Anna was expected to be crowned queen alongside her husband, just as Hedwig had been thirteen years earlier. Hedwig, however, was objected to her daughter-in-law being crowned queen. She believed that there should only be one crowned queen in the kingdom at a time. Casimir persuaded his mother to agree to the coronation, and Aldona-Anna was crowned. Hedwig does not seem to have completely accepted this, and soon afterwards she left the royal court. She continued to hold some influence for the rest of her life, though. Aldona-Anna was not politically active. Instead of being involved in politics, she seems to have spent most of her time on entertainment. She was described as lively, cheerful, and physically strong. Her favourite pastimes included music, dancing, horseback riding and games. Chroniclers report that she took a group of musicians with her everywhere she went. Her constant enjoyment of cheerful secular music shocked the clergy and many others. The clergy scorned her behaviour as unworthy as that of a queen. Aldona-Anna seems to have not been highly respected by her Polish subjects. Besides her Lithuanian ways, another factor that complicated her position was that she failed to have a son. Both of her daughters seemed to be born before Casimir’s accession to the throne. Years passed since the birth of her last child, and Aldona-Anna would not fall pregnant again. 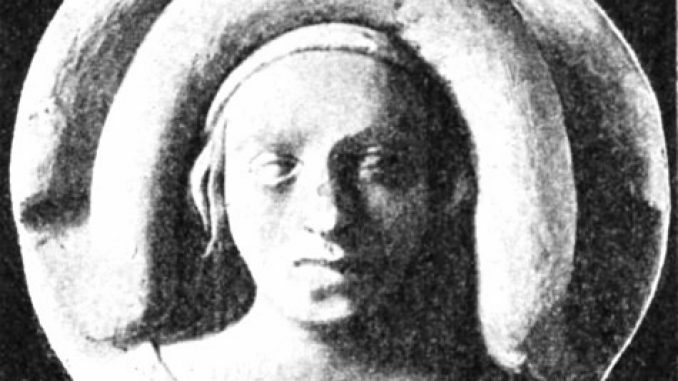 Aldona-Anna’s life came to a sudden and early end on 25 or 26 May 1339. She was not yet thirty. The cause of her death is unknown, but chroniclers say that she died a “terrible” death because she “used her life excessively.” It is hard to tell exactly what they meant, but from the few details historians guess that she probably died from a rapid illness or even an accident. It has been suggested that Casimir ordered her death, but that seems unlikely. His second marriage to Adelaide of Hesse was most disastrous and she gave him no children. This marriage ended with Adelaide being sent away disgraced. Casimir, however, did not have Adelaide killed, so it’s unlikely that he would have killed Aldona-Anna. The queen was given a Christian funeral and burial at Wawel Cathedral. Her mother-in-law, Hedwig, who seemed to have no love for Aldona-Anna, outlived her by a little over six months. Aldona-Anna may not have been a popular queen, but she is believed to influenced some new elements at the Polish court, such as the introduction of new music. Her marriage was the first step in bringing Poland and Lithuania together. In 1386, her nephew, Jogaila, married Casimir’s great-niece, Jadwiga. This event marked the Christianisation of Lithuania. This would also lead to the two countries being united in the Polish-Lithuanian Union. I love reading and writing about the royals of medieval Europe- especially the women. My interest was first started by the Plantagenet dynasty, but I decided to dive deeper, and discovered that there were many more fascinating royal dynasties in medieval Europe. Other dynasties I like reading and writing about are; the Capets, and their Angevin branch in Naples and Hungary, the Luxembourgs, the early Hapsburgs, the Arpads, the Piasts, the Premyslids and many more!